All of us need money, sometimes more sometimes less. However, work can be hard to find or you might not have time for a regular job. This is what WorkPilots is for. It’s an application that brings short-term work to your mobile phone. WorkPilots makes finding work easier than ever. Browse and apply for tasks with only a couple of clicks, earn money and show everyone what you can do. You only do as much work as you want and whenever it suits you. Each task has a fixed payment and you will also receive feedback about your task from the orderer. All the tasks you do are stored in your profile and you can use the history as proof of your work experience. The application also handles all contracts and taxes for you. Find your first gig today! When you choose the role of the worker, you will see open opportunities based on the location, distance, and interests you specify on your profile. If you have enabled notifications in your app, you'll also receive a notification when a suitable task is published. Therefore, make sure that when you register, you have entered the required information - including a bank account number, address, distance you are willing to travel to perform tasks and your tax rate. You can also choose what type of jobs you want to do from a list of task categories. In the beginning, you might want to choose all possible task categories, just to see what is available. There is also a “Select all toggle” which you can use to register for all task types easily and don't have to click all the categories separately. Remember to add a good picture, description of yourself (age and education, for example) and your skills, phone number, and email. The orderer might be more hesitant to choose a worker whose description, image and contact information are missing from their profile! By opening a task and clicking on the picture of the orderer, you will see the basic information of the orderer and the feedback they have gotten from other workers. You can apply for as many tasks as you have the time and energy to do. Everyone over 14 years of age can register to the service. However, please be sure to get your guardian's permission if you are under 15 years of age. By applying for open tasks, and being selected for a task, you get the opportunity to gain work experience that will help you get work in the future. Browse open opportunities and submit your own application to the tasks you are interested in. When browsing orders, clicking a user's image shows the user's previous feedback (for both the worker and the orderer). If you cannot apply for a task, your profile is probably missing some necessary information (see previous section). The orderer will be able to browse all the profiles that have applied for their task and then select as many as they require. If a task has disappeared from the open opportunities and can not be found in the ‘ongoing' menu, someone else has been selected for the task or the task has been canceled. You will be notified if you are selected as a worker through email (on iOS & Android it will also come as a notification). The task will also move from “Opportunities” to “Current”. Note: If you have applied for a job, actively monitor whether you have been selected because sometimes the orderer may only make a selection at the last minute. You and the service provider (WorkPilots Oy) will have an contract relationship based on which an allowance will be paid, from which the withholding tax will be removed, according to your profile. Execute the task at the agreed time. You can also agree on another time with the orderer if needed, for example by email, phone, or by chat (using iOS or Android Apps). Complete your task as well as you can, so that you get good feedback from the orderer and thus increase your chances of getting more tasks. If there is an obstruction with arriving to complete the task, immediately notify the orderer by phone or by emailing the orderer so that they can search for substitute help as soon as possible. Then cancel the order in the service. 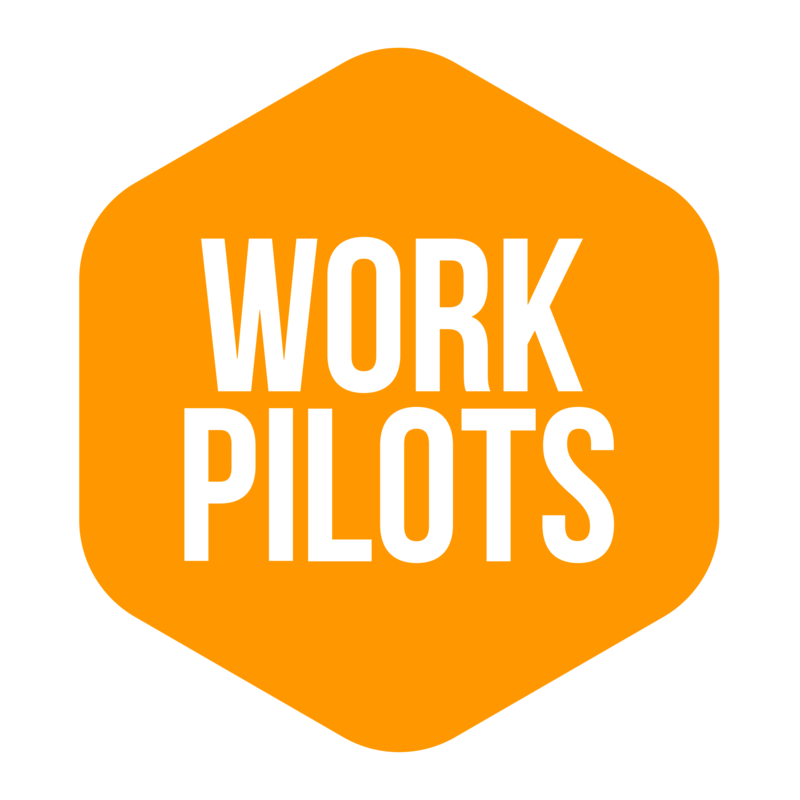 If you are having problems with the orderer, you can provide feedback via the service or contact info@workpilots.fi. When the job is done, claim the task as completed and give feedback to the orderer. Providing and receiving feedback is an important part of the service. Feedback helps build trust between all parties. Feedback also helps to identify your own strengths and develop your skills. We hope you will also give constructive feedback to the orderer. When you give feedback for the orderer, there is a text field on that feedback window, where you can type the real time, when your work task finished (so that tells when you accomplished the work task). If there is a need for more hours to be spent on the task, the orderer can make a new order for additional hours and select the same worker for the job. The duration of a task can not be reduced. If the task takes less time than described in the order, the orderer may, if necessary, find something more to do within the duration of the order. We pay work compensations to workers usually once a week, but at least twice a month. See more information from the link above. On the front page you can see how much you have earned through the service. We will soon be able to offer the chance to print a separate certificate for the tasks that you have done. Before that, please contact info@workpilots.fi and we will send you a separate report by e-mail.